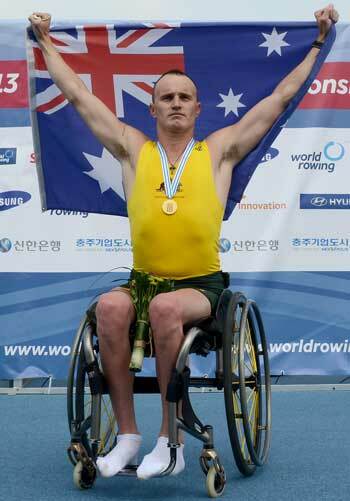 With a strong result of two gold medals from the Australian para-rowers and a gold from Kim Crow in the single, Australia finished on third in the medla tally. The para-rowers raced excellently to exceed expectations but the aim of two gold medals in Olympic classes, eluded the Australian team. 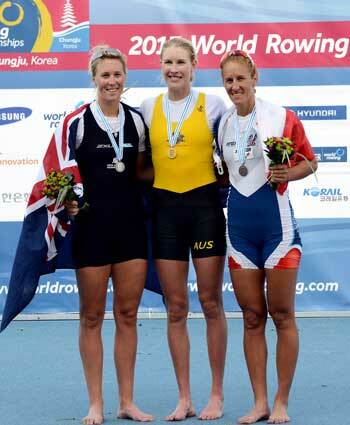 The RA website noted that dual London 2012 Olympic medallist Kim Crow has topped off a successful regatta for the Australian Rowing Team at the World Rowing Championships in Chungju, South Korea, producing a gold medal winning performance in the Women’s Single Scull. Having won both World Cup events in which she has competed this year, Crow entered the Championships undefeated in her chosen boat class in 2013. She opened up an early and impressive lead, dominating the race to finish over a boat length ahead of her nearest competitor. It was an impressive performance. The men's four was a new combination with two silver medallists from the 2012 London Olympics in Josh Dunkley-Smith and Will Lockwood, and two promising rowers from NSW, Spencer Turrin and Alex Lloyd. In was an extremely close race, with just 0.63 seconds separating gold and silver. Drew Ginn commented: The Men’s Four was oh so close! They did a really good job in setting themselves up to win, they just couldn’t get it across the line. They improved throughout the regatta and that’s all we can ask. Reserve Jennifer Cleary (VIC) raced in the three seat of the crew in the B final due to the illness of Madeleine Edmunds. Reserve Rebecca Daniher raced in the stroke seat in the repechage as a substitute for Tess Gerrand who was ill, thus qualifying the boat through to the semi finals. Tess Gerrand returned for the semi-final. Reserve Rebecca Daniher raced in the five seat in the repechage as a substitute for Tess Gerrand who was ill, thus qualifying the boat to the A final. Tess Gerrand returned for the final.